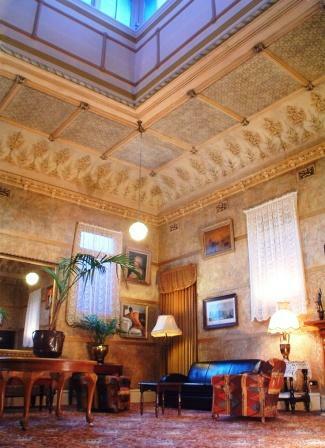 ﻿ The Midland Hotel, Castlemaine - The best place to stay since 1879. 2 Templeton St., Castlemaine, 3450, Australia. 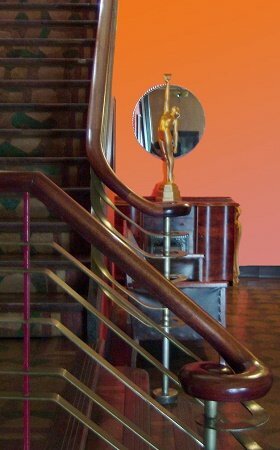 Where in the world is this Midland Hotel? Discover a place to stay that is welcoming, comfortable, authentic, relaxed and unique. And you will be just walking distance to most restaurants, entertainments and near to the Castlemaine steam train. There is also free continental breakfast and free wifi. 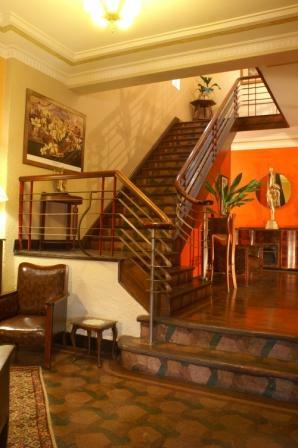 Our spacious hotel is a mix of late Victorian and authentic Art Deco styles. We offer only four bedrooms, each with their own bathroom. or the hotel garden, or the hotel wine bar by the open fire. In fact, you could just stay in. We suggest, though, that whilst staying at The Midland you should visit Castlemaine. 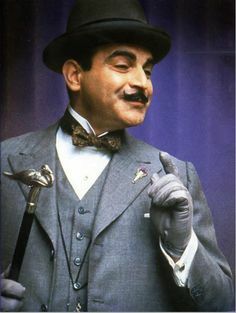 "It iz the perfect setting, mon'ami." it is just too hard to put into a category. "Grand yet unpretentious - Stylish yet homely." "Old world charm meets modern funk." A fun place to stay"
somewhat grand, it is operated in a relaxed and informal manner. So when somewhere to stay is not just somewhere to stay. at The Midland Hotel, Castlemaine. 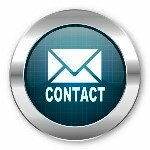 you will not find us on Booking.com, Trivago or any of the other booking services. You are dealing directly with the owners. Google 4.8 star rating from 16 reviews. TripAdvisor 4.5 star rating from 36 reviews. Goldfieds Region, Readers Choice Award 2017 and 2018. 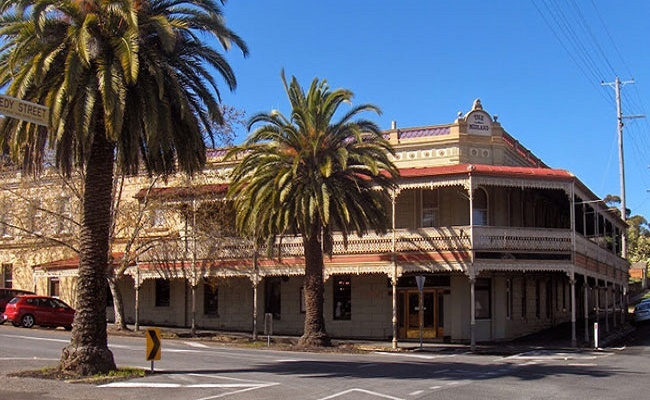 Hotel Address: 2 Templeton St., Castlemaine, 3450, Australia. Castlemaine Arts festival office, Railway Hotel, Castlemaine Art Gallery. Whilst staying at The Midland Hotel, we suggest that you visit Castlemaine. Maldon and Malmsbury. So it is the best place to stay, to explore central Victoria. Explore the Castlemaine area here.